Specificity/Sensitivity: May cross-react with HO-2 in western blot. 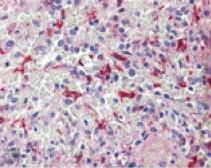 It also recognizes a 50kD band found only in transformed cell lines but not in normal tissues. Specificity/Sensitivity: GTX12220 reacts with human, rat and mouse heme oxygenase 1. 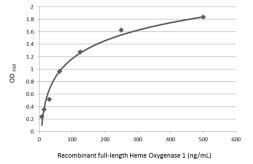 It does not react with rabbit heme oxygenase 1 or heme oxygenase 2. 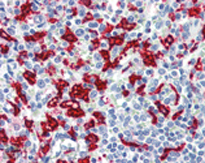 This antibody will inhibit the activity of human or rat heme oxygenase 1.